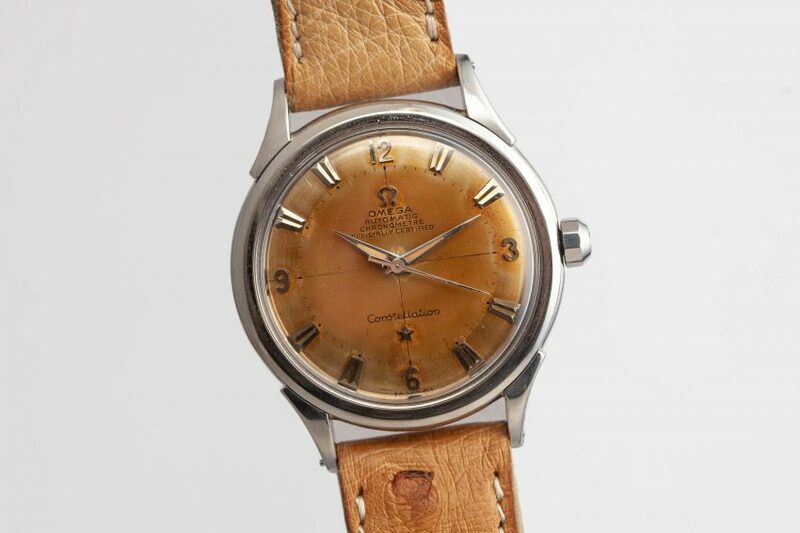 The Omega Constellation was first introduced in 1952 and in the spirit of supreme accuracy. The successor to the limited Centenary model, It was Omegas first full production chronometer and mechanically, it broke ground. Its automatic caliber, the 354, is part of the series considered Omegas best until their modern co-axial movements. So mechanically, this watch is a wonder. And its design is spectacular, too. From its faceted steel case and pie-pan dial to its original Constellation crown, it’s level of detail evokes envy.